Mates Nick and Puneeth ventured on a 6 hour long drive to battle the mighty Bemm river. 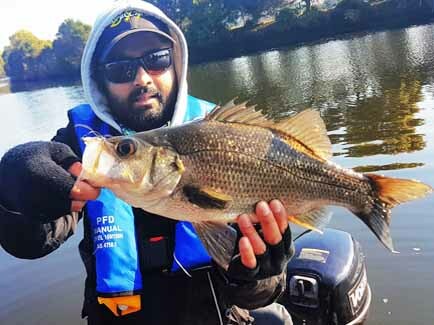 The effort was rewarded as the guys caught countless estuary perch on soft plastics and surface lures in the upper reaches of the river. The guys also managed to catch a few bream in what ended up being a great fishing weekend away.